I just competed an internship at 621 Gallery in Railroad Square. 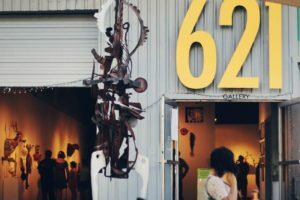 621 is a non profit that brings art to the people of Tallahassee! They hold musical events, exhibitions, movie nights, and anything you can think of. This internship is diverse and can apply to many fields such as advertising, gallery positions, or event planning. My focus was on the function of the gallery. Each shift I would open and close the gallery. 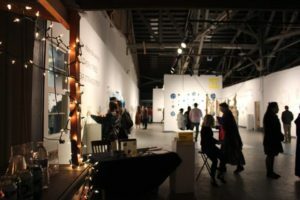 My responsibilities included acting as a docent to the public, assisting artists in install/deinstall, and planning events. I got to be a part of First Fridays, soft openings, literary salons, kids workshops, and major fundraising efforts. These experiences were highly valuable to me and taught me useful knowledge moving forward. I have gained a new skillset and walked away with a better understanding of my life goals. Working at 621 also gave me a greater appreciation for the art community in Tallahassee. I recommend this internship to anyone looking to learn!